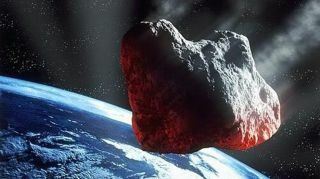 NASA continues to broaden its search for ideas that could help prevent killer asteroids from striking Earth. Agency officials will attend the World Maker Faire in New York City this weekend (Sept. 21-22), with the goal of convincing the global community of inventors and tinkerers to help discover, track and deflect asteroids that could put Earth in peril. "Unlike traditional NASA missions of exploration and science, this grand challenge is driven by the idea that protecting our planet is an issue bigger than any one program, mission or country," NASA chief technologist Mason Peck said in a statement. "For the first time, NASA has reached out to industry, academia, stakeholder organizations and private citizens for ideas on how to find, track and deflect asteroids," Peck added. "These partnerships represent a new way of doing business for NASA and a call to action for makers: join us to become a critical part of the future of space exploration." At Maker Faire, which celebrates innovation, resourcefulness and originality, space agency officials will have science hardware available for makers to program. NASA will also explain how members of the public can use personal computers to track the orbits of asteroids. The Asteroid Grand Challenge — one of many challenges announced by the Obama Administration and government agencies to spur scientific innovation — also solicited ideas for NASA's ambitious asteroid-capture mission, which seeks to drag a small (roughly 25-foot, or 7.6-meter) space rock into orbit around the moon using a robotic probe. Once there, the asteroid could be visited by astronauts using NASA's huge Space Launch System rocket and Orion capsule, both of which are in development. NASA received about 400 proposals in response to its June Grand Challenge call, two-thirds of which focused on the asteroid-capture mission. NASA officials will discuss the top-ranking 96 asteroid-retrieval ideas in a public workshop set to take place at the Lunar and Planetary Institute in Houston from Sept. 30 to Oct. 2.